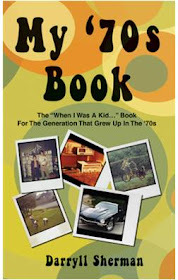 My friend Darrin over at Dad's Dish Retro Blog loves to go on little shopping sprees for cool retro stuff all the time. Since I live in a small town I don't really have access to the type of stores that have the inventory that includes these great finds. But - I do have memories and every now and then - something triggers one of them. And - I have the internet that can instantly show me pictures to help with my memories. 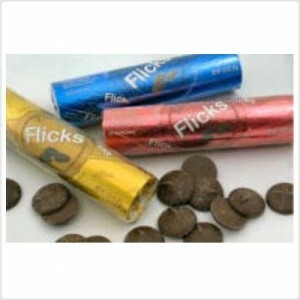 My brother gave me a call this afternoon to say he had read my blog about Flicks. He asked me what it was that reminded me of them. I again asserted that I wasn't sure what had brought back the memory, at which point he pointedly reminded me the HE had called me and told me about a display of them he had seen in store just the other day!! (Insert "getting old" jokes here). Anyway - with his reminding me of these, I did have these great memories of Flicks. 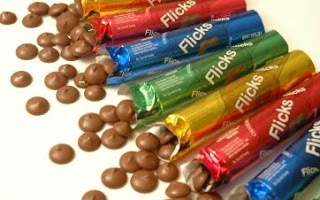 I do know that I remember that there was nothing better than getting some Flicks and slowly eating the large chocolate chip shaped candy. The shiny foil covered tubes were super cool looking and fit easily in your hand. I've done some searching and found some places I can buy them. Sounds like I'm planning ahead for stocking-stuffers for next Christmas! So - I had a memory pop into my head the other day, and it was like "No Way! Was that right?" I called my brother to verify I wasn't just making things up, and he confirmed it. 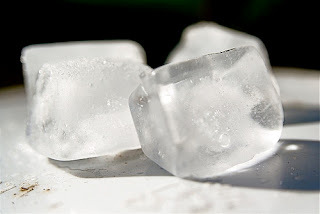 When we were kids, on hot summer days, we had a very special treat... ice cubes. We'd be running around like little banshees and sweating up a storm. Almost on cue, we'd run into the house and start whining at mom for some sort of cooling refreshment. Well - this would have been a common occurrence on hot summer days - and I'm amazed at my moms resourcefulness. At some point, she must have been out of anything else, so she opened the freezer and got out the ice trays. And then, in a moment of sheer brilliance, she probably asked "Who wants an ice cube?!?" Being dumb, hot kids, we all yelled, "I do!" She grabbed some paper towels, wrapped them up and presented us with our "treats. 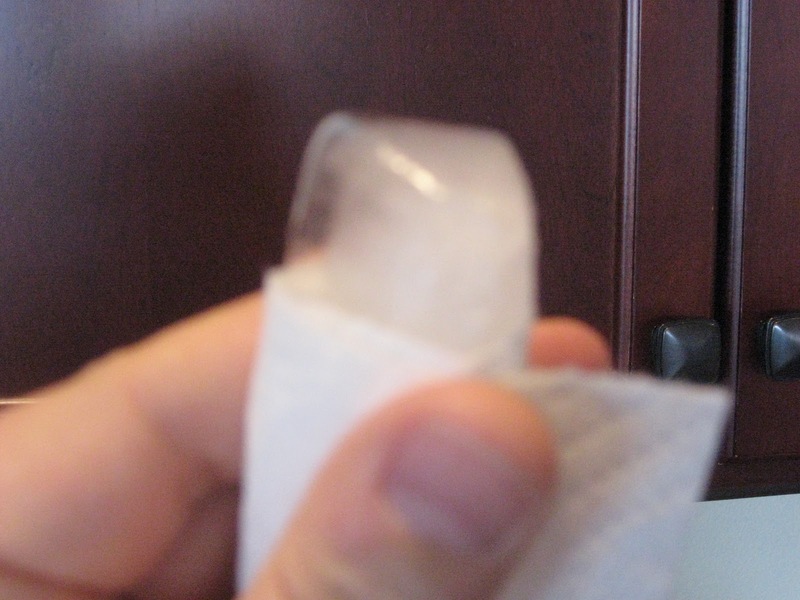 Ice cubes! Wrapped in a paper towel so our hands didn't get cold and wet. Knowing us - we probably spent as much time playing with them as sucking on them - but they definitely did the trick. I tried to replicate this, but between my automatic ice cube maker's much smaller ice cubes, and the fact that I couldn't get the camera to focus right - you'll have to use your imagination. Suffice it to say - though it didn't look like much (and admittedly, it wasn't) it was a great treat for us. And - we were dumb kids - it was all great to us. Kind of makes me wonder what kids today would do with such a "treat" presented to them.